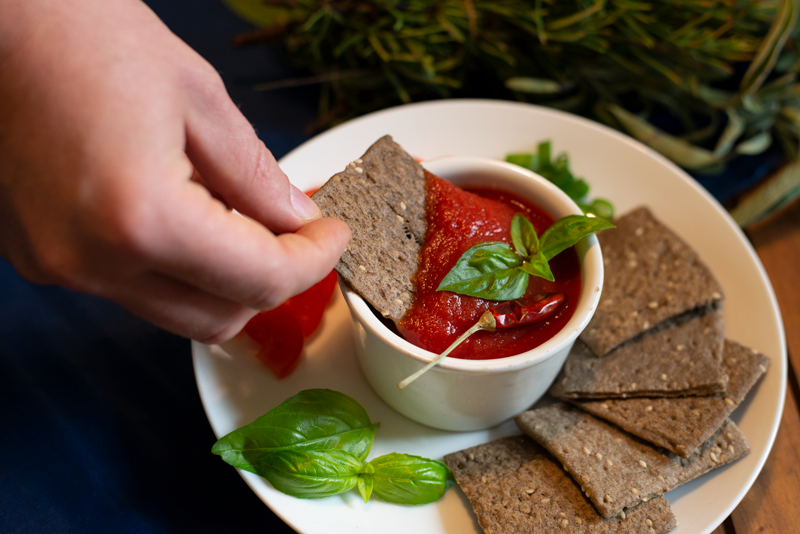 Irresistible, crisp crackers made with crickets, ideal for snacking. Perfectly balanced and highly sustainable. Cricket Crackers are an excellent, natural source of complete protein thanks to the incredible nutritional value of crickets. Not only healthy but moreish. 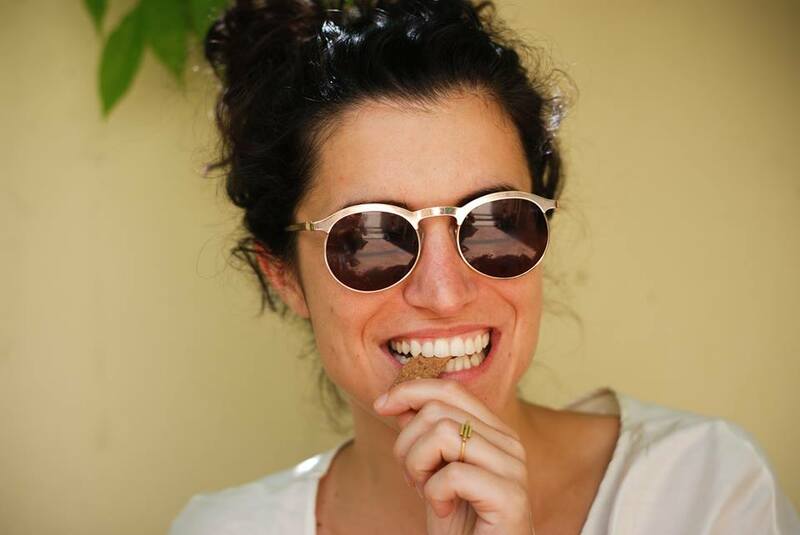 Have you ever tasted crickets? 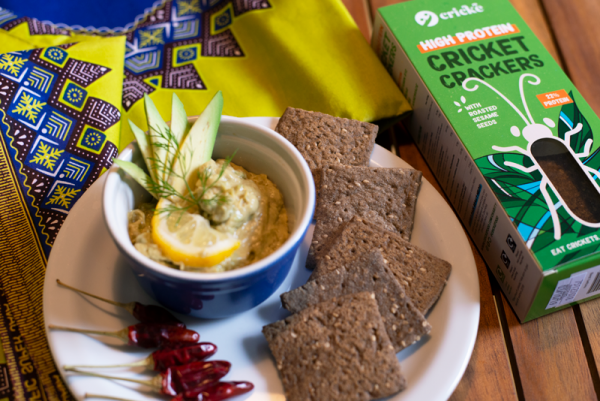 This is the way to taste the real benefits of crickets: from yuck to yum in a bite. Hooray! Made in the UK using 100% natural ingredients as sesame and extra-virgin olive oil. Simply yummy! Highly sustainable: Our planet first! Cricket farming has an extremely low environmental impact. Crickets have 2x more protein than beef, more iron than spinach, more calcium than milk. Crickets require drastically less land, water, feed and energy than traditional protein sources. Outrageously tasty: made in the UK with only selected high-quality ingredients — you can really pronounce one by one: wheat flour, crickets, sesame, EVO oil, salt. There are no artificial flavourings, colourings or preservatives added. Lovingly handmade, get ready for jaw-dropping taste! Wheat flour, cricket (Acheta domesticus) powder (15%), sesame seeds (6%), extra virgin olive oil, salt. For Allergens, including cereals containing gluten, see ingredients in bold. Contains crickets, people who are allergic to crustacean shellfish may also be allergic to crickets. Wheat flour, cricket (Acheta domesticus) powder (15%), sesame seeds (6%), extra virgin olive oil, salt, sugar. I’ve tried the sesame ones and they are super good! Very nice! 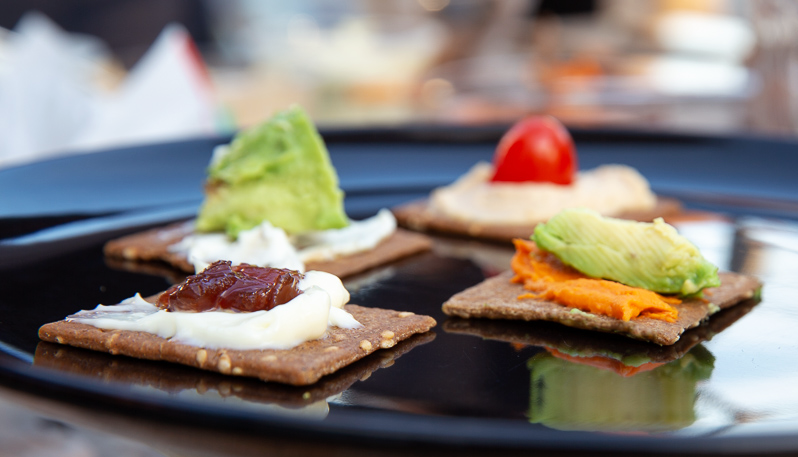 I can imagine myself eating Cricket Crackers with Hummus all-day everyday! These cricket crackers are unbelievably tasty! 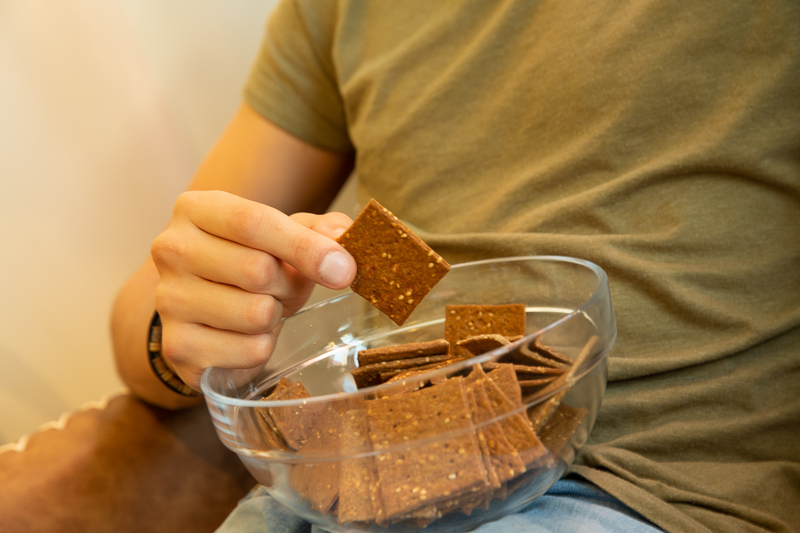 Like whole wheat cracker, with a nutty aroma – and a smoked aftertaste. I love the idea of alternative protein source, more sustainable for us. The crackers are very tasty and crunchy! I love them!